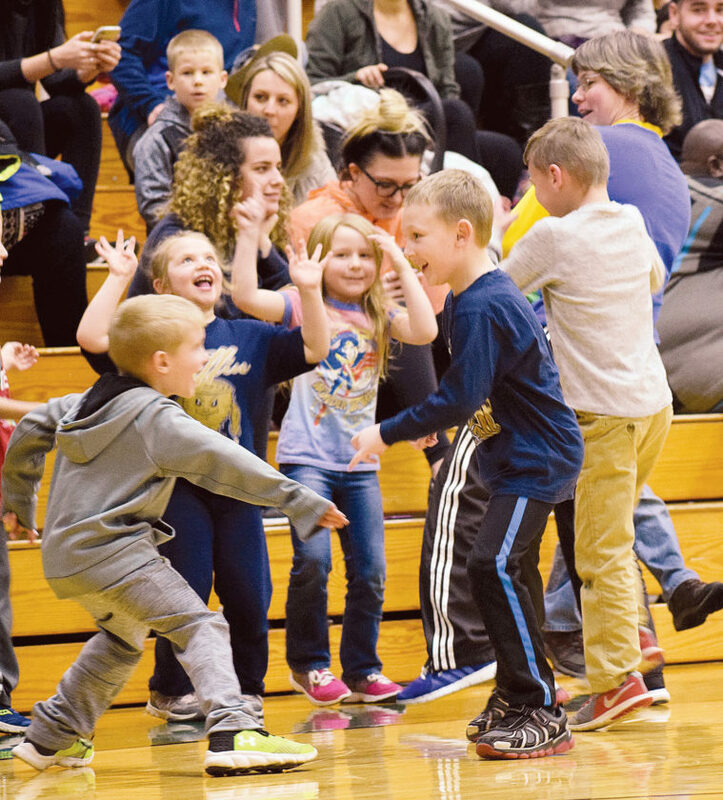 Children show off their dance moves during a break in the action of the Tiffin University-Purdue Northwest men’s basketball game at Gillmor Student Center Thursday evening. Washington K-1 students participated in the elementary school night at the game. For complete coverage, see Page 1B. To view more photos from this event, visit cu.advertiser-tribune.com.